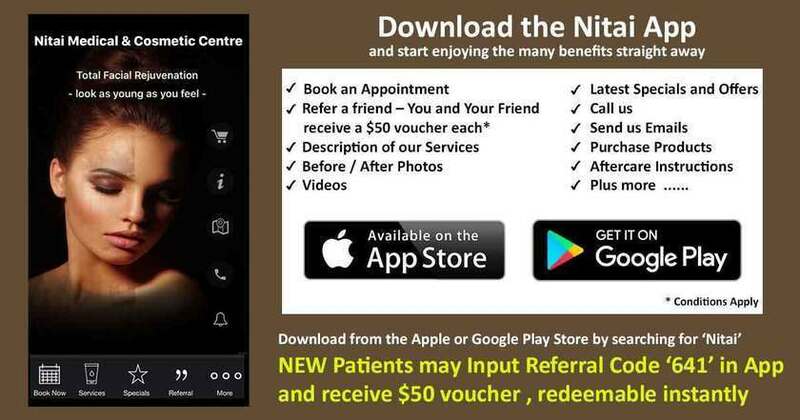 Welcome to Nitai Medical & Cosmetic centre for the best dermaroller in Melbourne. Skin needling or Derma rolling happens to be the latest trend in the field of skin rejuvenation. This is a minimally invasive procedure that necessitates very little downtime. Dermal rolling is effective in restoring the skin’s elasticity and making it healthier and thicker. This procedure is effective in boosting the inherent production of essential ingredients for cell growth in your body. This minimally invasive procedure must always be performed after administering topical anaesthesia. Nitai Medical & Cosmetic Centre takes pride in providing the best dermaroller in Melbourne. Dermal rolling would be involving a medical roller along with a number of tiny needles that are being effectively applied to certain parts of the body for creating a fully controlled inflammatory response immediately in the skin. By penetrating the top layers of your skin, dermaroller provides a clear channel so that the creams and gels could be absorbed easily and more effectively. The microscopic punctures actually are responsible for stimulating the essential cell ingredients production in the skin’s dermis layer. Some blood vessels are broken during this process and blood clotting creates the perfect environment for elastin and cell formation. Skin needling surely has become one of the most efficient ways of instilling active skin rejuvenating constituents. Skin needling or dermarolling is effective in enhancing a number of scarring and skin aging concerns. Nitai Medical & Cosmetic Centre offers both Dermastamp and dermaroller devices for skin needling. Our proficient and the highly experienced doctor could identify the dermaroller Melbourne that would be most suitable for your precise condition. The DermaRoller that is being used at Nitai Medical & Cosmetic Centre is administered only by fully-trained, qualified and certified medical professionals. In conjunction with professional dermal rolling assistance, we encourage our clients toward a home use of DermaRollers. As such there would be an eventual improvement as time passes by, as far as, results are concerned. Our fully trained and skilled professionals would be guiding you every step of the way regarding the proper use of dermaroller at home. Effective in the ultimate breakdown of pigmentation and that includes hormonal pigmentation. Rejuvenates the skin. It radically transforms your skin by boosting cell growth factor production that helps in reducing the appearance of wrinkles and fine lines. The DermaRoller is actually a medical device which has as many as 192 extremely fine needles for stimulating the skin and delivering the active constituents much deeper into your skin. Studies have proved beyond doubt that dermaroller treatment in Melbourne would be boosting the penetration of active constituents with almost 200 x more delivery. What makes DermaRoller stand out from the rest? In comparison to other standard ablative techniques such as Fractional lasers and laser treatments, this minimally intrusive procedure is effective in stimulating new tissue formation. It is known to act constructively while the skin remains very much intact. In derma rolling, the skin is never damaged. But the skin does get damaged in other techniques where response healing takes place. The DermaRoller remarkably enhances skin texture and alleviates atrophic scars. The Dermastamp is actually a vibrational stamping tool quite unlike a usual manual handheld roller. The Dermastamp is known to provide the same benefits just like a DermaRoller. But it has a small head size that offers additional advantages as it could be effective in treating isolated or smaller areas like areas around the lips and eyes. The operating expenses are also pretty low in comparison. Skin Rejuvenation, Tissue Regeneration, Fine Lines, Scars, Wrinkles, Hyper- pigmentation, Deep Wrinkles, Stretch Marks, Pore Size Reduction, Acne Scarring, Isolated Scarring and Skin Laxity. Though some results could be seen almost immediately, the actual formation of the primary structural proteins of diverse connective tissues would be starting after 6 weeks and would show gradually more enhanced results from six months to till about a year. Can you use the Dermaroller at home? Dermaroller in Melbourne comprises a specific homecare roller system which is often recommended by our competent doctors so that you could use at home. However, due to relatively shorter needles, the penetration is slightly lower. You could use it regularly at home to boost the skin and promote deeper penetration of all the active ingredients involved. Who are the ideal candidates for Skin Needling? Skin needling could be effective in various cases. Anyone with medium to light wrinkling would get positive results. Individuals whose morale is down due to ugly acne scars, surgical scars, and chicken pox scars. People with laugh lines and nasolabial wrinkles. Individuals suffering from neck, chest, knee, arm or hand wrinkles. Who should avoid Skin Needling? Individuals who are under medication for high blood pressure, diabetes, or heart medication or any such illnesses should avoid it. A person who is supposed to be a poor healer should stay away from this procedure. Anybody who has just undergone an invasive laser therapy should avoid skin needling. If a person is suffering from a herpetic breakout, he must not consider skin needling. Those who have had Roaccutane during the last six months and those who have dermatitis in the treatable area should avoid skin needling. Pregnant women should avoid skin needling. If you wish to learn more about the treatment costs and seek some expert advice & guidance, call us today for scheduling an initial appointment with our proficient, highly experienced and certified doctor having a fantastic track record in this line of cosmetic skin care treatments. We offer absolutely no obligation consultations. You could email us or else, call us at (03) 9300 1244 to schedule an initial appointment. Your email would be immediately forwarded to the appropriate staff concerned.